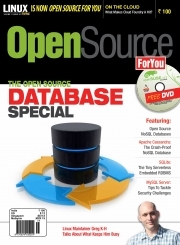 Description of "Open Source For You, April 2013 (eBook)"
Launched in January 2003, LINUX For You is a complete magazine on open source, and is today a big hit with those who love FOSS (Free and Open Source Software). The magazine carries tech articles on Linux and open source for newbies, administrators, developers and fans of open source. Its main objective, however, is to help organisations enhance their return on investment (RoI) by deploying Linux (or open source) solutions. The magazine is accompanied by a free CD, which carries source code, white papers, software tools, Linux distributions, and even games. Reviews of "Open Source For You, April 2013 (eBook)"